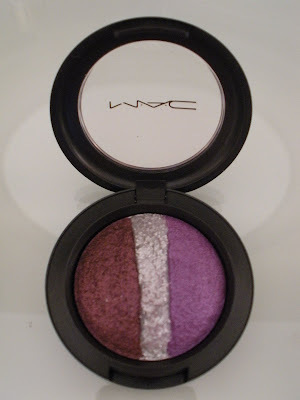 I've decided to introduce a new element into my blog--Makeup Mondays...for the glamour girl and dynamic diva in all of us! 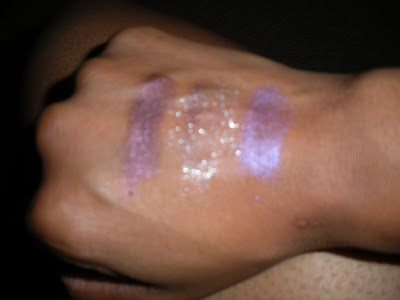 I LOVE makeup, and--as if I have to remind you--all things glamourous, so what better way to incorporate my love for another form of art--face painting--into my little piece of cyber space. :-) Besides...what better way to brighten up a "Manic Monday"...literally and figuratively!?! In each segment, I will showcase products purchased replete with a review by yours truly. 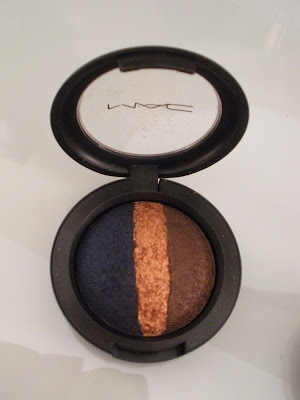 First up, Mineralize Eyeshadow Trios by my favorite brand, MAC...I LOVE this shadow; it's highly pigmented--as MAC shadows generally are; goes on as smoothly as silk, and looks fab! 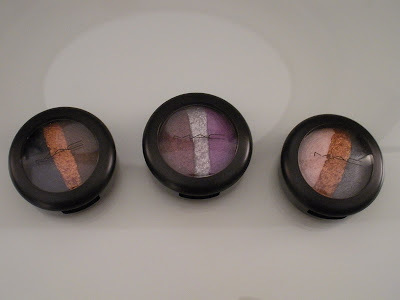 The shadows in the middle of each trio are fantastic as highlighters. 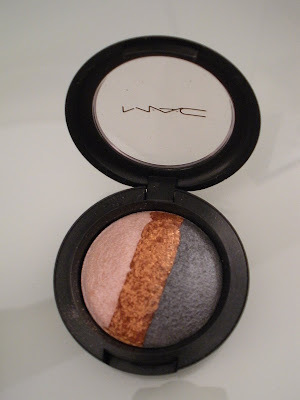 I also think it's a great idea to wear the lighter of the two outside colors, from whichever palette you prefer, on the lid and to use the darker color in the outer corner of the eye for a little more drama! 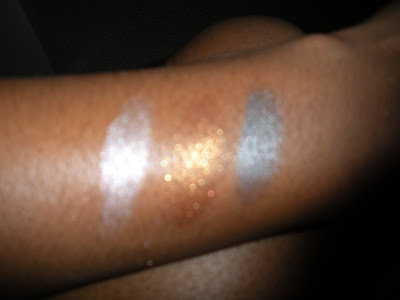 The shimmery tones are terrific for that special holiday dazzle, so you can wear it to wow your co-workers at the annual holiday party. Show 'em how festive you can be outside the office! 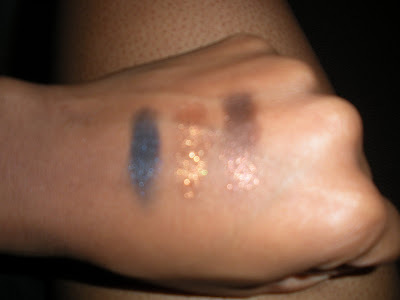 ;-) The one very important thing to note is that these shadows are limited edition (LE), and they come in other color trios, as well...so if you like what you see, get yourself to a MAC counter ASAP ASAP! !